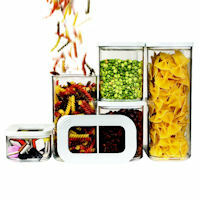 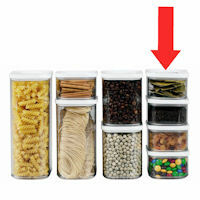 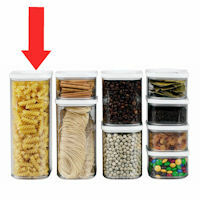 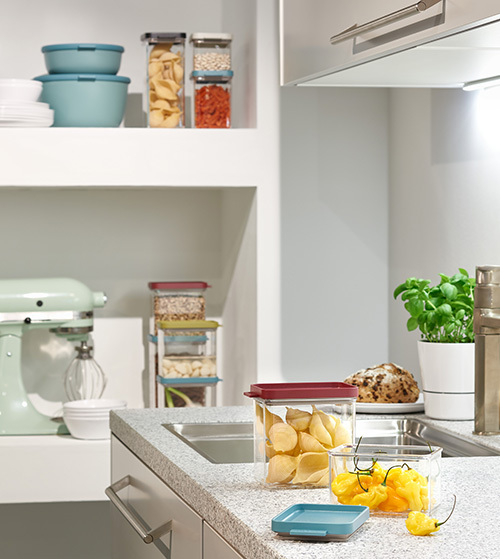 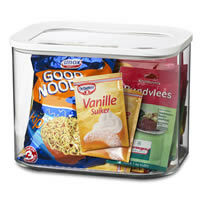 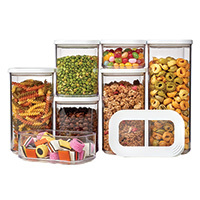 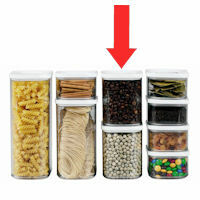 Our stylish new set of three acrylic kitchen storage canisters have a squared-off profile which means that you can make best use of space inside your kitchen cupboards and on your pantry shelving using every nook and cranny (unlike traditional rounded food storage jars which don't make efficient use of storage space). 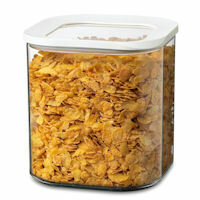 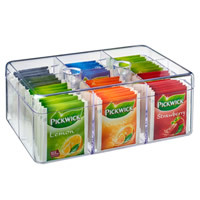 The colourful lids are indented for perfect stacking and create an air and aroma tight seal, ideal for aromatic coffee and crispy cornflakes. 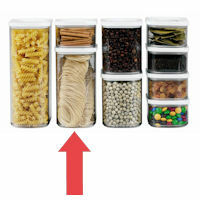 These well-made kitchen canisters have easy open lids for those who find it a little difficult to wrestle open air-tight storage jars. 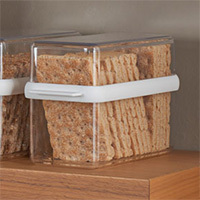 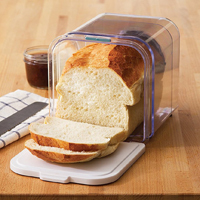 They're dishwasher safe (up to 80 degrees) and are already a real hit in STORE.